Our Introduction to Python course is a great first step into 'real world' coding for Primary School children from the ages of 10 and up. Children will learn fundamental coding and computing concepts while programming their own number guessing game, coding a program to generate silly stories, creating amazing graphics and participating in a ‘hack’ challenge to customise their own computer game. It will challenge their thinking skills, problem solving and creativity. It's the perfect next step beyond block based programming. Python is a text-based programming language used by professional programmers around the world to run essential business systems. 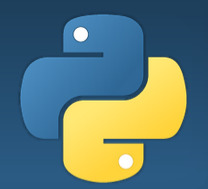 Tech giants such as Google, NASA and YouTube are all keen Python users. Shift coding and computational thinking skills up to a whole new level! In ComputerXplorers we aim to prepare children for the future. Now, more than ever, code literacy is recognised as being a key part of everyone’s future, not just those looking to become software engineers. Let’s help them get started on the right path now.